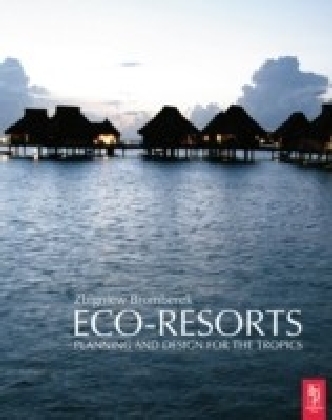 Eco-Resorts is a design guide for low impact, environmentally friendly tourist resorts in the tropics. The book is the first to offer architects practical, detailed guidance in developing resort buildings that work with a tropical climate andmeet the needs and expectations of the client and building inhabitants. The book includes both architectural design and material solutions, supported by theoretical principles, to present asustainable approach to resort design. It demonstrates that tropical resort buildings do not necessarily require largeenergy input, in compliance with green building standards. Case studies show how principles of sustainable designhave been successfully applied in tropical environments. Written by an industry insider with practical design experience, knowledge and expertise. Demonstrates design practices related to site planning and layout, and re-assesses best practices for a tropicalenvironment, allowing architects to apply design principles to their own projects. Includes international case studies from several countries to illustrate best practice from a variety of tropical climate destinations around the world. Z (Zbigniew) Bromberek, PhD, is an architect educated and registered in Poland, and postgraduate-educated and residing in Australia. Z has been practising and teaching architecture for nearly 30 years. He has been involved and associated with various educational institutions and professional organizations in a number of countries around the world. Before the current appointment as Senior Lecturer in Architecture at the University of Tasmania, Z spent three years as Lecturer in Environmental Design at the University of Queensland, and two years as Guest Professor in Architectural Design in Nanjing, PR China. He was also the President of the Architectural Science Association ANZAScA for three consecutive terms in 2000-05. Z's major research interests include design-environment interaction, low-impact architecture and re-integration of architecture as an expression of a multi-disciplinary approach to design.